Abhinav Gupta and Larry Davis' recent CVPR 2009 paper, on describing storylines of videos, was featured in IEEE Spectrum article and on the front-page of Discovery Tech News. 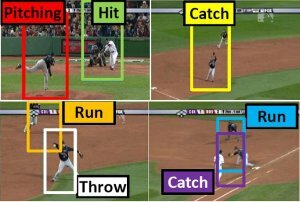 The paper describes a technique to automatically generate blurbs describing the plays of the baseball game. This research was done in collaboration with researchers at Univ. of Pennsylvania.